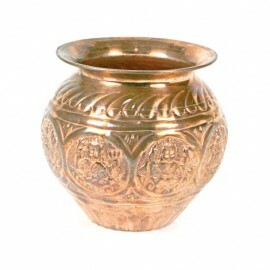 Kalasha is a pot filled with water.Mango leaves are placed in the mouth of the pot and a coconut is ..
Kalasha is a pot filled with water. 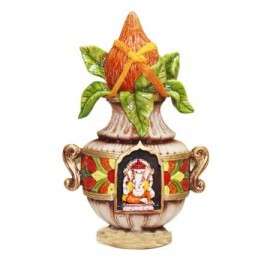 Mango leaves are placed in the mouth of the pot and a coconut is.. 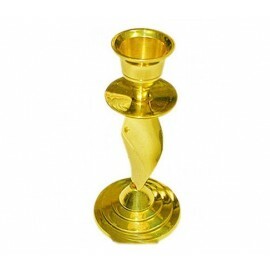 This intricately crafted low height pedestal is ideal for used during religious ceremonies and for i..
A handy candle stand which can be easily placed anywhere in the house. 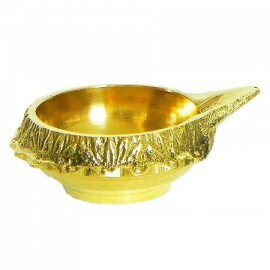 Its compact size makes ..
Haldi kumkum containers are essential for every pooja ceremony. 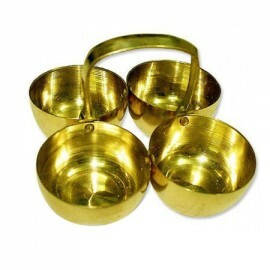 It comprises of 4 containers to hold.. 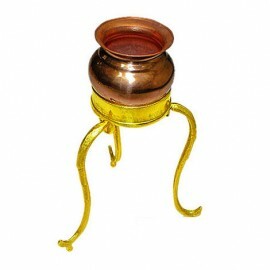 This intricately crafted good height pedestal is ideal for used during religious ceremonies and for ..
Damru is one of the attributes of Lord Shiva. 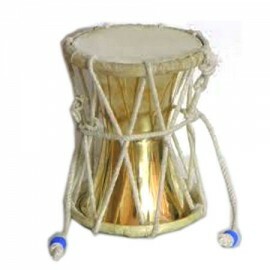 The sound of Damru is the sound of Omkara. 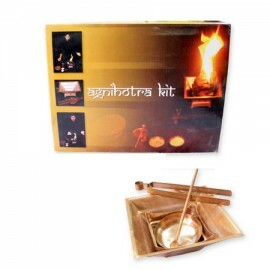 Amazing thi..
Agardaan is the Hindi word for incense burner. 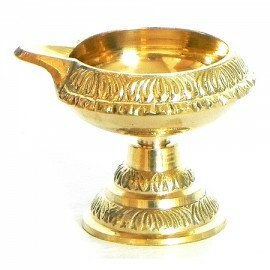 This incense burner with four holes is shaped like a ..
Paduka is a compound word made up of two words namely, "pada" and "ka". 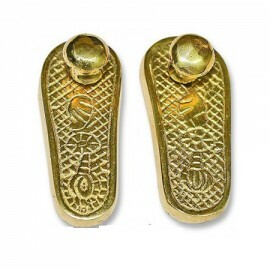 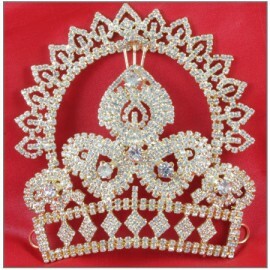 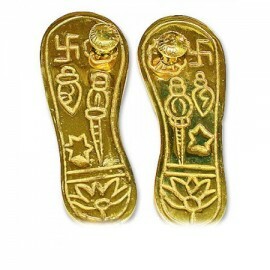 In Sanskrit language, 'PÃ¢da..
Paduka is a compound word made up of two words namely, "pada" and "ka". 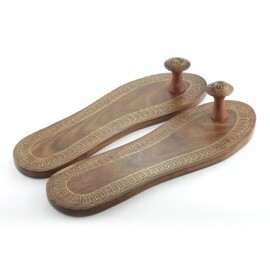 In Sanskrit language, 'Pada'.. 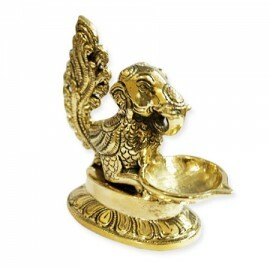 Placing a deity idol on a pedestal shows our respect towards the deity. 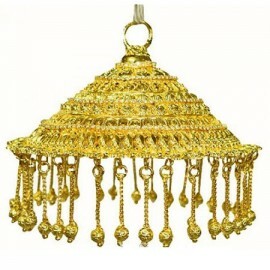 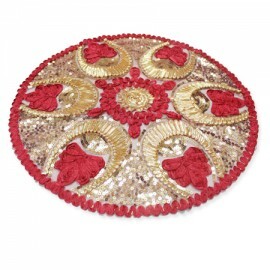 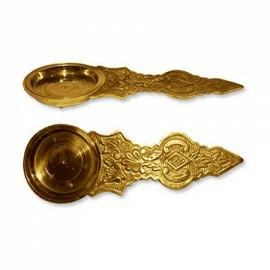 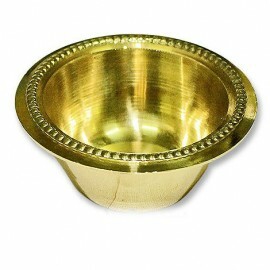 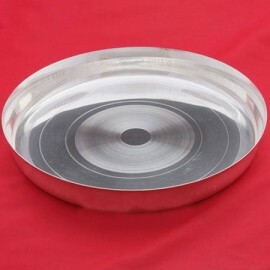 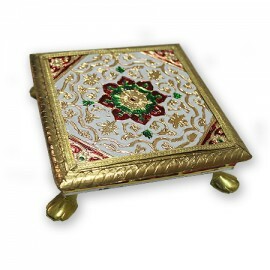 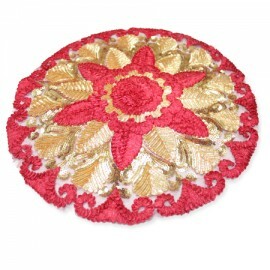 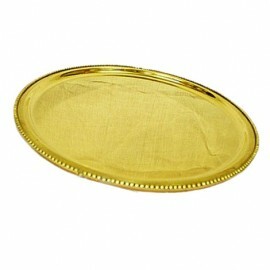 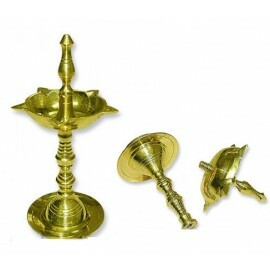 Pedestals are also used duri..
Chaap is a cloth specially made to cover pooja thalis. 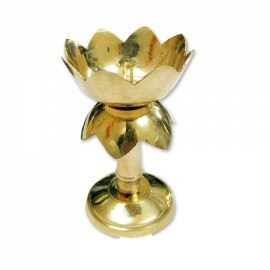 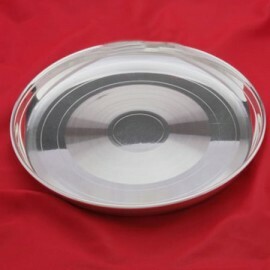 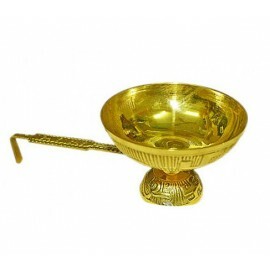 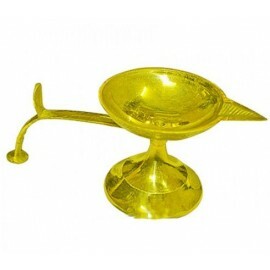 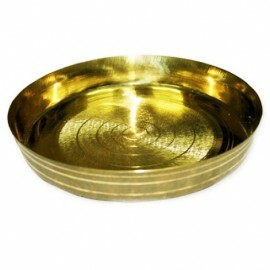 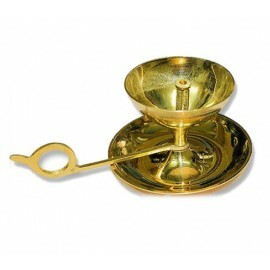 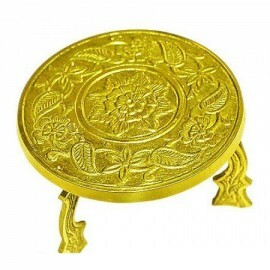 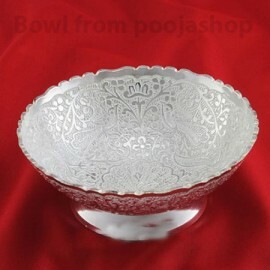 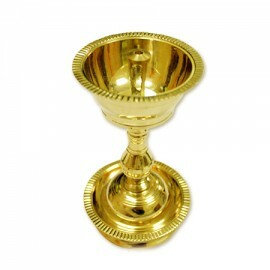 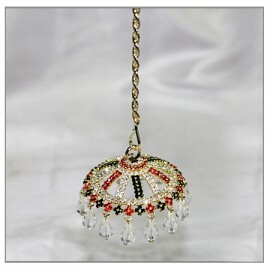 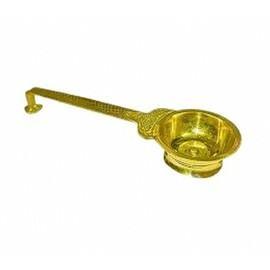 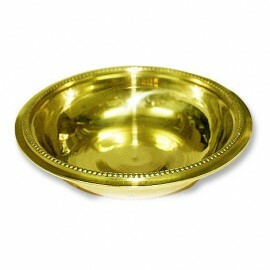 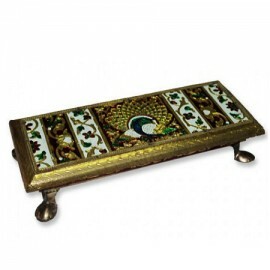 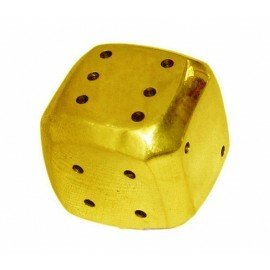 After filling the pooja plates with pooja ing..
A quality candle stand which can be easily placed anywhere in the house. 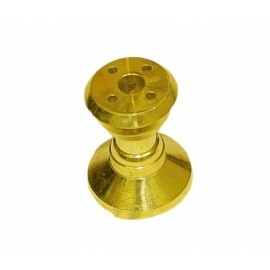 The stem is a beautiful com.. 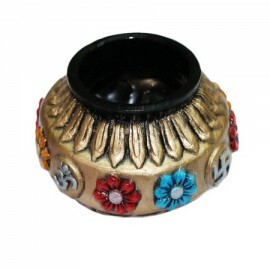 The Kalash symbolically represents creation. 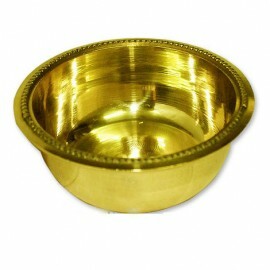 The vacant pot, symbolizes earth, and the water filled ..
An important tradition associated with Lakshmi Pooja is that of gambling, particularly in North Indi..
Pooja plate is used for keeping pooja items during pooja. 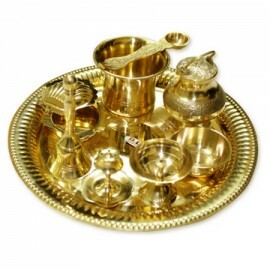 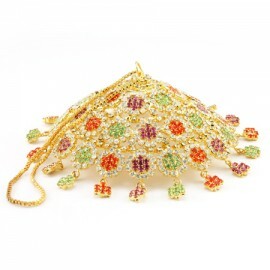 The pooja items kept in a pooja plate incl..